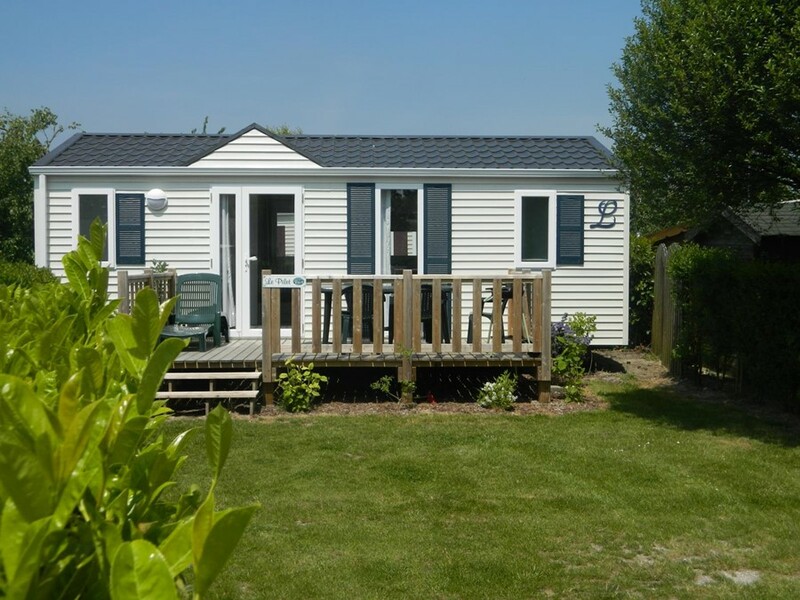 Camping Le Champ Neuf offers you different types of rental property adapted to your family needs. 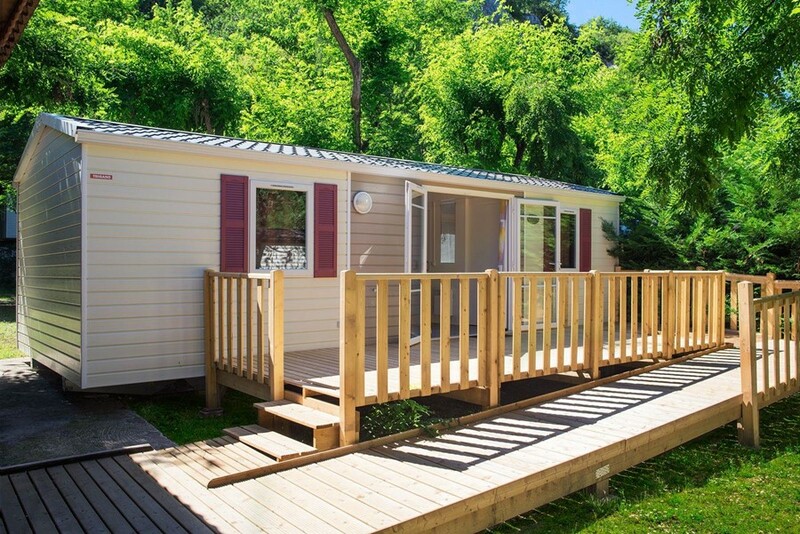 A Mobile Home allows you to spend a good holiday just like at home with all mod cons, but set in natural surroundings. 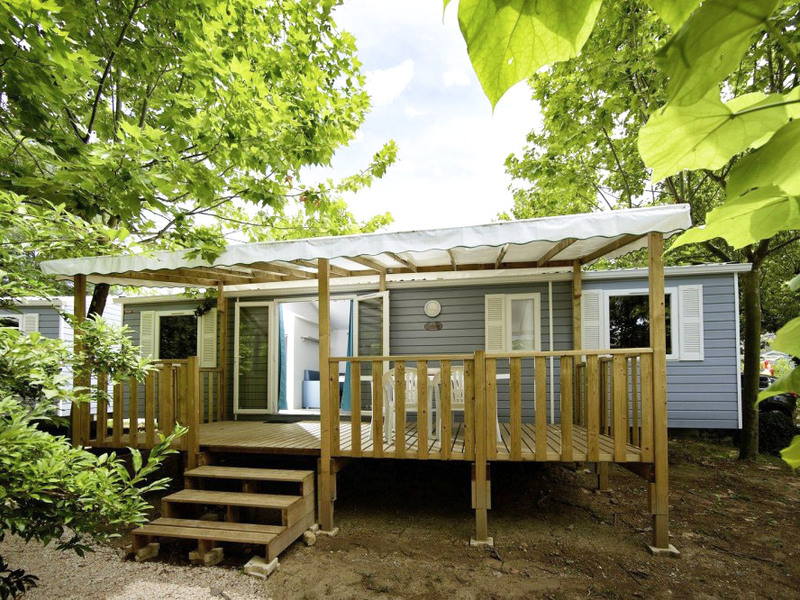 Each rental property is set in a plot which is clearly marked out by mixed vegetation to give you your own private space. 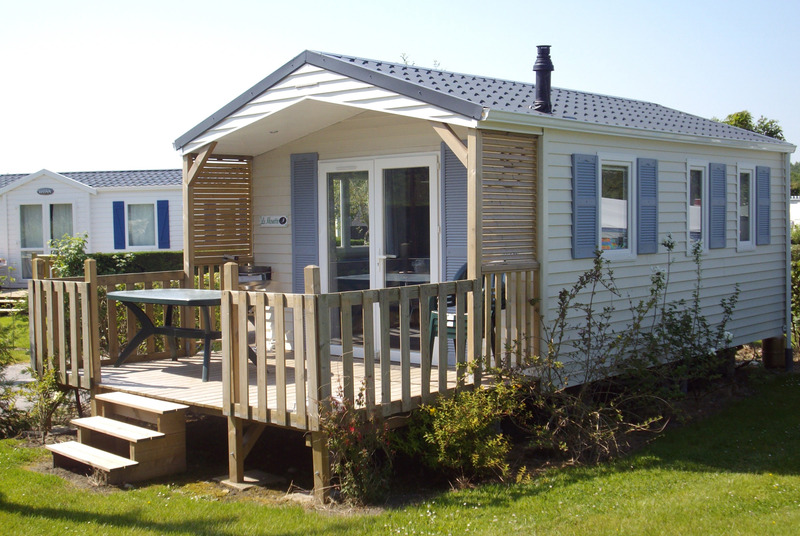 You vehicle can be parked on your Mobile Home or Chalet pitch. 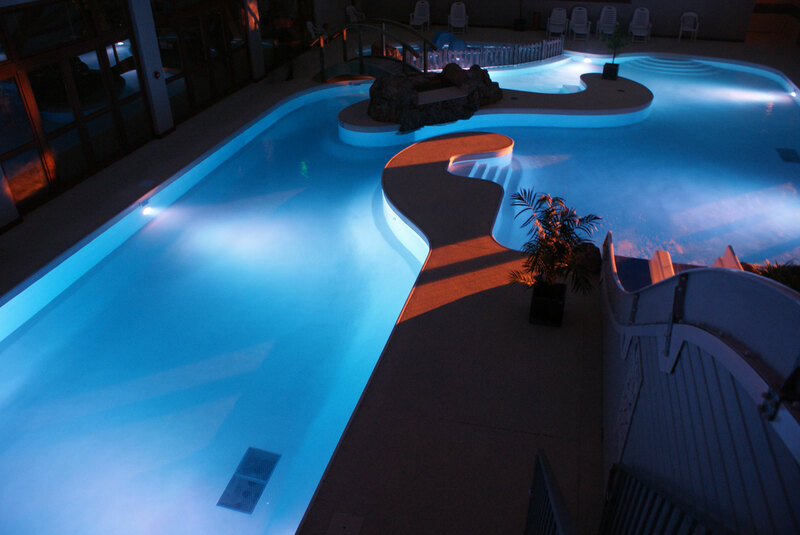 Out of season you can arrange your stay to suit you ¨one night, several nights, a week…. With a free choice of your arrival day. During the season rentals are on a weekly basis. Arrivals and departures take place on Saturdays. On the day you arrive the rental properties are available from 4-00pm and will be vacated by 10-00am on the day of departure. In case of late arrival, please be sure to inform us in advance. 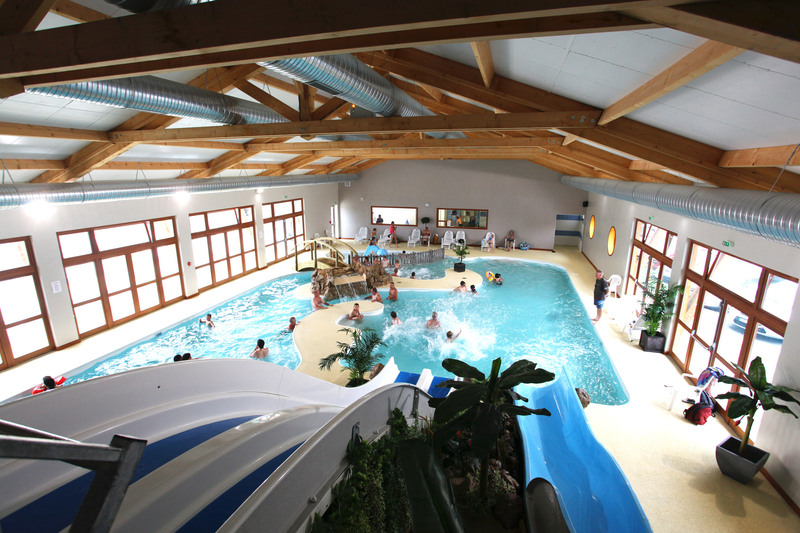 The price of the rental includes entry to the pool, the sauna, the fitness room, tennis court, internet access and the various activities on the campsite. The Tourist Tax as well as various charges such as water, electricity and gas are included in the price. Duvets and pillows are supplied in the Mobile Homes and Chalets. It is possible to rent disposable sheets and to ask for the final cleaning of your property when you leave. and a deposit of € 40 for final cleaning. 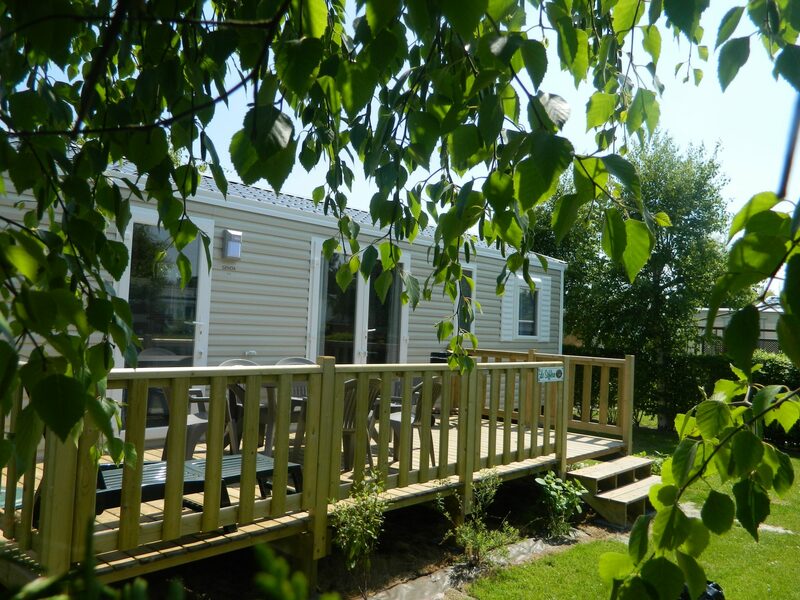 Mobile Homes have a wooden patio/terrace, patio furniture, a sunbed, barbecue and a parasol. 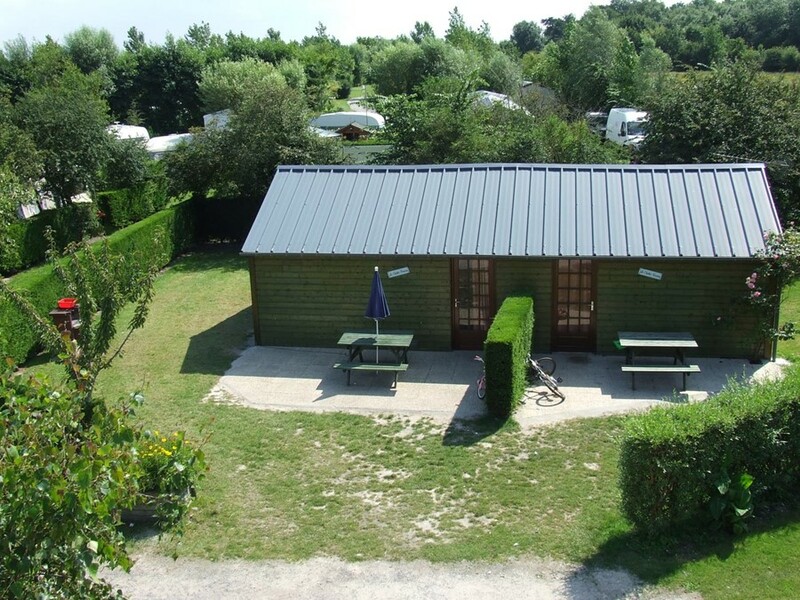 Chalets have patio furniture, a sunbed, barbecue and a parasol. Most of our rental properties have a fold away bed in the lounge. The balance of your stay is due two weeks before arrival.